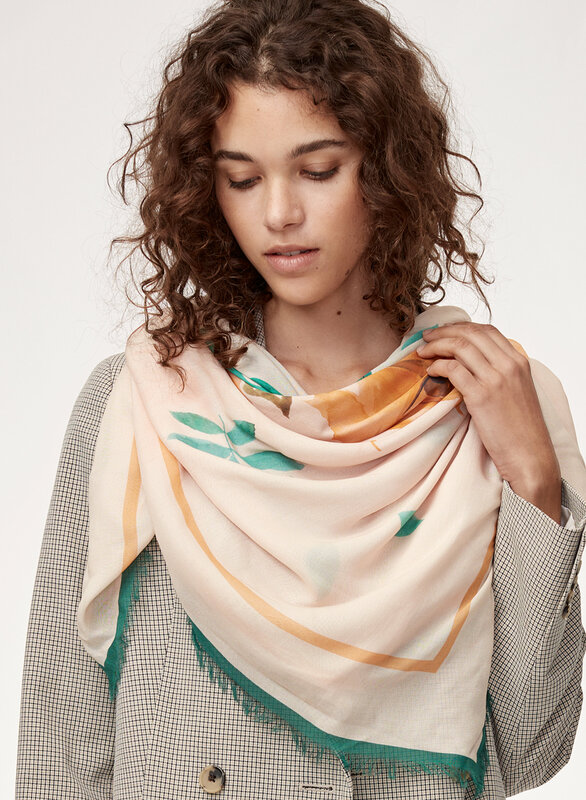 Styled with caluna blazer . 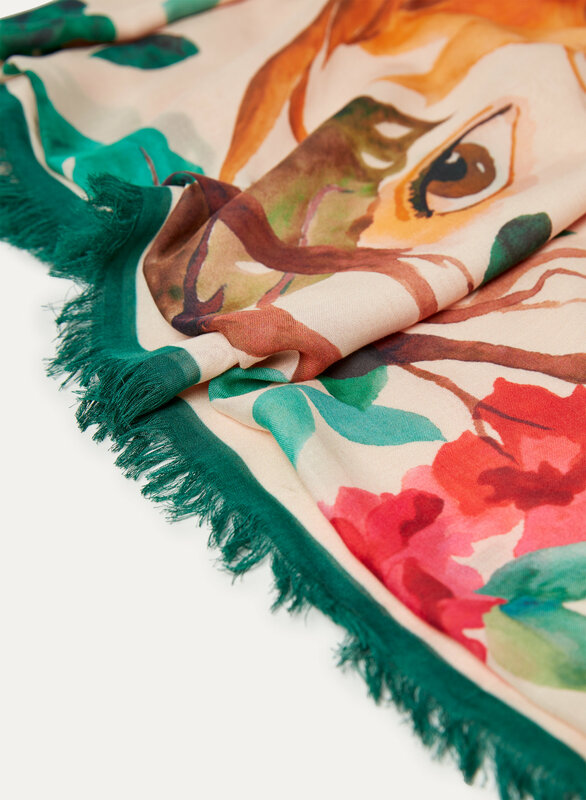 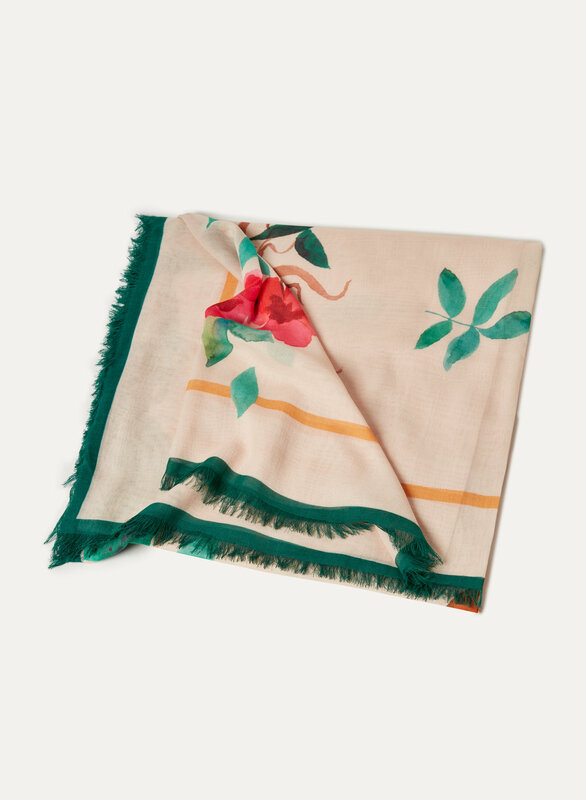 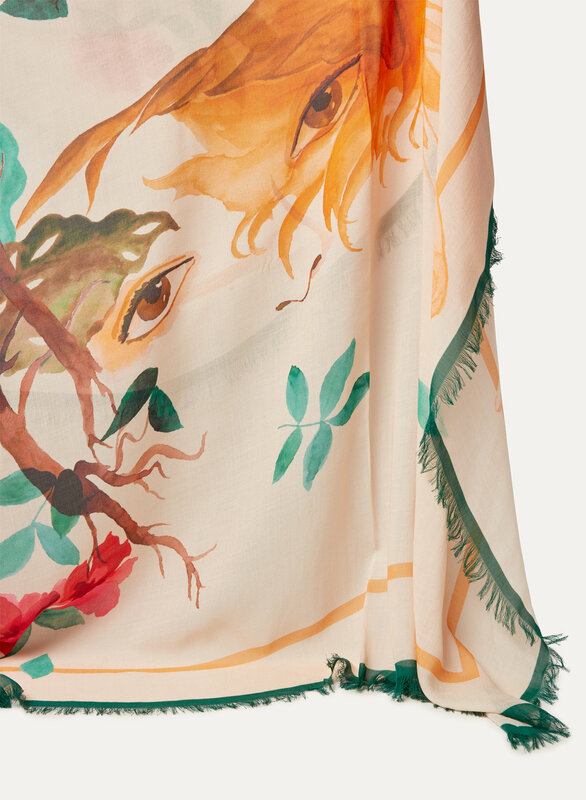 The crane artwork on this square scarf was designed in house, exclusively for Little Moon. 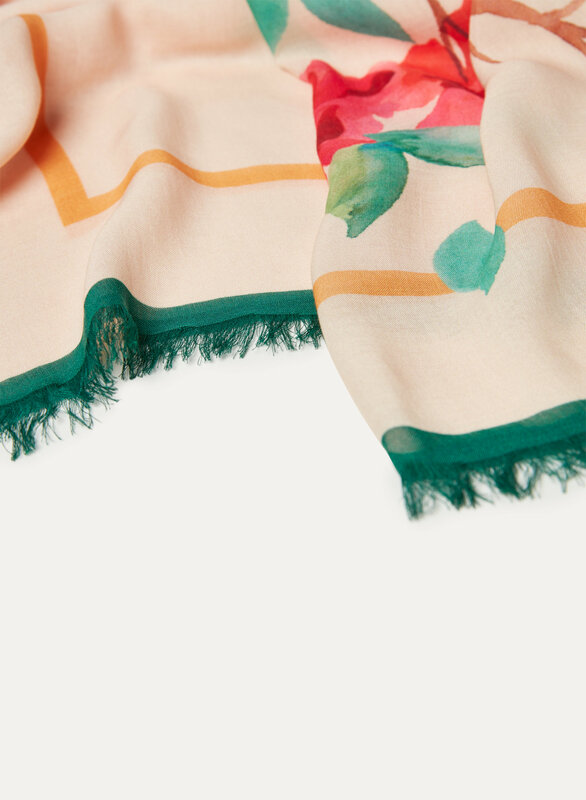 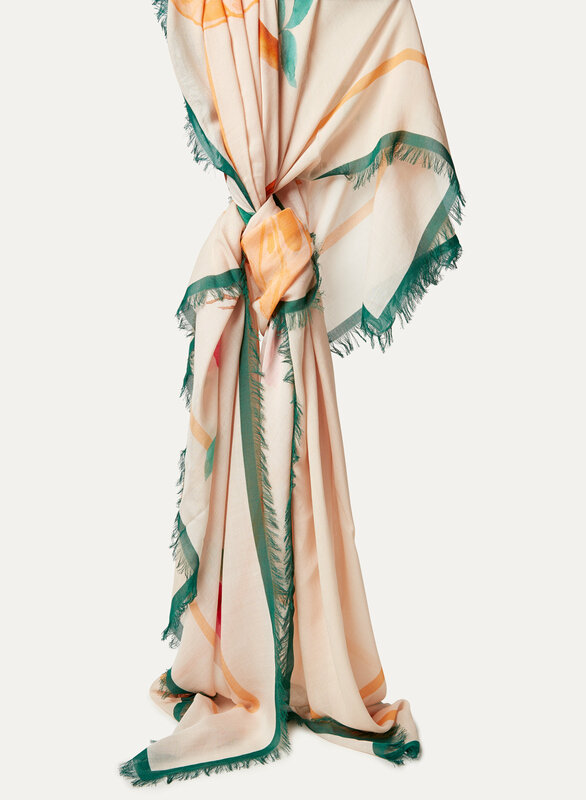 It's a classic scarf design, rendered in soft, lightweight fabric that drapes beautifully.